With 96% of B2B companies planning to use video in their content marketing over the next year, videos have become an integral part of B2B marketing strategy.1 Whether it’s a company overview video or product tutorial, videos provide potential and current customers an easy and engaging way to learn more about what a company has to offer. In order to get the most out of your investment when creating videos, consider the following best practices for creating a formal video marketing plan. Will there be a product launch or campaign that needs a video? Does the sales team need a video demo for prospects? Examples include: “how-to” video, interview with CEO or developer, animated, live shoot, product demo, customer/case study, company overview, etc. Create a list of videos that you like so the video vendor understands your style and taste. Include links to these in vendor scope document. Who do you want to reach and what do you want to achieve? What is the benefit to your audience? Assign more-strategic videos a larger budget. Ensure you have a content owner as well as a video project manager for each video. Is this something done in-house or with a third party? Who will evaluate and sign off on contract? Identify potential vendors and create a vendor scope template so that all proposals are based on the same information, timelines, requirements, etc. Build a home for your videos on your website, YouTube, Vimeo. Key metrics include total views, watch time, subscribers, engagement (likes, comment, shares), click-through rates. Are you getting leads from your videos? How much money did you invest vs. achieved metrics? If you can demonstrate a plan that supports overall business objectives and marketing goals, along with ROI metrics, you’re most likely to ensure your video investment is maximized. To learn more how video can accelerate your marketing, contact us today. We specialize in B2B marketing planning, execution, and consulting. We can assist you or your marketing team to help your company achieve your goals. 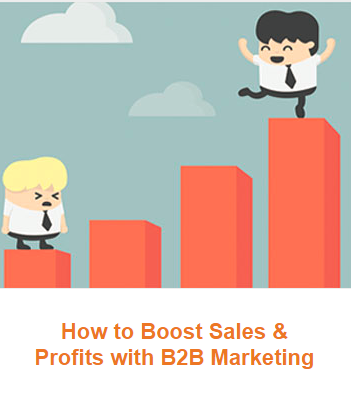 Learn how to gain customers and boost profits with marketing for your business-to-business company.